Your Opportunity to be the best with Tally Education. Tally Education Pvt. Ltd., a group company of Tally Solutions Pvt. Ltd., is the only entity authorised to issue certifications on Tally. 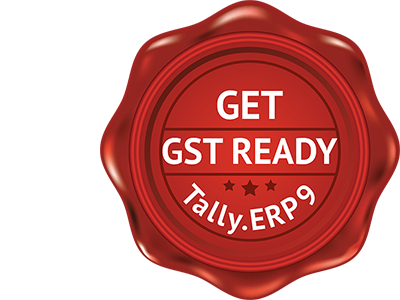 TEPL is committed to deliver industry preferred credible certifications on GST complaint version of Tally.ERP 9. Over the years, the success of Tally software has fuelled the demand for Tally trained and certified professionals across the nation. 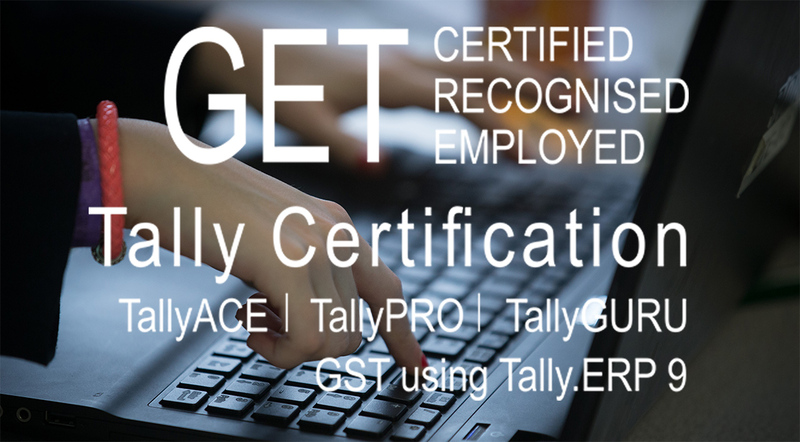 Therefore, to address the industry requirements, professional certifications on Tally.ERP 9 are meticulously designed by Tally Education. Professional Certifications That Offers Endless Opportunities! It intends to enhance the employability of Tally learners by giving them a professional edge with verifiable digital certificate preferred by industries. 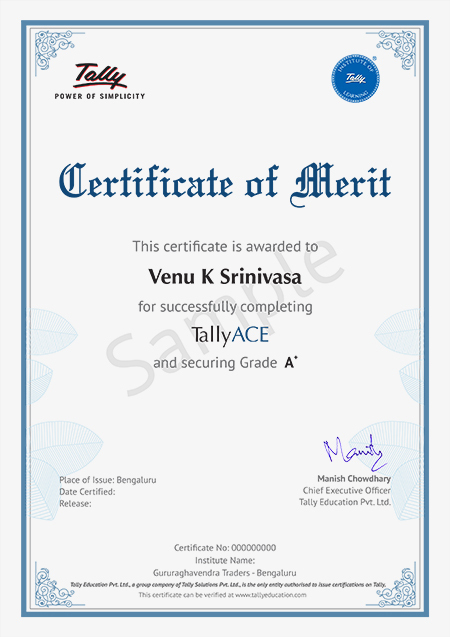 “I have taken TallyACE certification from Hrudyaa's Institute For Knowledge & Excellence, Salem. Since I gained good knowledge in accountancy and Tally, I have been offered as Assistant Manager in GR Traders, Salem. I am really excited to take this offer and that too in my home town. A very big thanks to Tally”. “By Hiring Tally certified candidates I have saved my time in providing training to them, at the same time they were able to grasp other process very quickly which reduces my work load. Hence I would always prefer Tally certified candidates”. “My knowledge and skills in Tally is enhanced after completing my Tally assessment, and I am even more happy that I am working as an Accountant. I would like to take more such assessments to keep my self updated in Tally. Thanks a lot”. “After GST Roll out, there is a huge opportunities for the candidates those who have strong knowledge in GST along with Tally. We would prefer Tally certified candidates since they have an edge over other candidates. “My experience working with Tally Education Placements team has been very good. A considerable number of Tally certified candidates were hired as full time employees. The reporting managers found them very professional and competent. Most importantly they were eager to demonstrate their talents and contribute towards organisational goals”. Adoption of Tally.ERP 9 software in Banking and Financial Institutions (BFSI), Retail, Manufacturing, IT/ITES, Trade etc. has led to perpetual demand of Tally skilled resources in public and private sector. For candidates to enrol for Tally Certification at their nearest location. Fill out the form and call us to learn more on Tally Certification! Copyright 2018 © Tally Education All Rights Reserved.